Born: September 29, 1801 in Sandwich Ma. 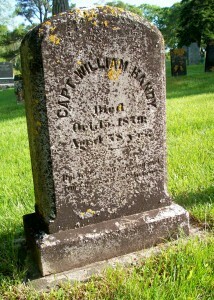 Died: October 15, 1879 in Sandwich Ma. at 78 yrs. Married (1): June 2, 1831 in Sandwich Ma. 1. George Russell Handy, Capt; (August 21, 1835 – August 18, 1894); George died “at sea” at 58 yrs, 11 mos, 27 d.; He was a Master Mariner, lived in Lynn Ma. & was unmarried. 2. Ellen Swain Handy Tubbs Gifford; (December 29, 1837 – ? ); Married (1) Joel Bartlett Tubbs, M.D. (1821 – 1868) in Sandwich Ma. on March 2, 1862 & married (2) John Lincoln Gifford (Joseph Robinson Gifford & Elizabeth Lincoln) in Falmouth Ma. on October 19, 1891; John married (1) Susan Amanda Snow (1831 – 1873) (Stephen Snow & Eunice Cannon) on September 20, 1859 in New Bedford Ma. ; Joel married (1) unknown. 3. Edward Freeman Handy; (March 29, 1839 – October 12, 1858); Edward was “lost at sea” at 19 yrs, 6 mos. ; He is buried in Cataumet Cemetery. 4. John William Handy; (January 30, 1841 – August 31, 1862); John “died at sea” at 21 yrs, 7 mos. ; He is buried in Cataumet Cemetery. 5. Pauline Dillingham Handy; (March 4, 1843 – September 30, 1845); Pauline died at 2 yrs, 6 mos. & is buried in Cataumet Cemetery. 6. Abram William Freeman Handy; (March 17, 1846 – November 17, 1905); Married (1) Laura A. (–) (Abt.1848 – 1878) & married (2) Robie Elmira Corey (1850 – 1940); Abram died in Lynn Ma. at 59 yrs, 8 mos. ; He was a shoemaker. 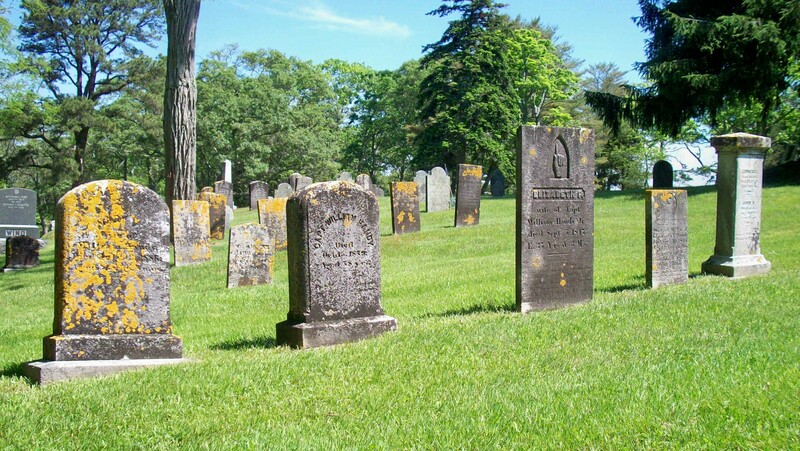 Abram & Robie are buried in Pine Grove Cemetery in Lynn Ma..
Married (2): Abt. 1848 in Sandwich Ma. 1. Mary H. Handy; (March 10, 1849 – ? ); No further information. 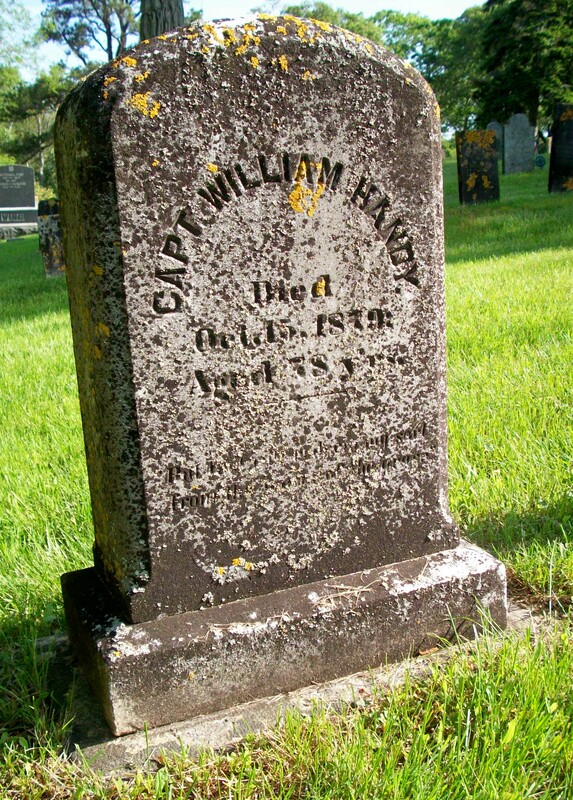 2. infant son Handy; (November 25, 1849 – November 26, 1849); Died at 6 hrs..
3. infant daughter Handy; (Abt.December 31, 1855 – January 7, 1856); She died at 7 d. & is buried with her sister Pauline D. Handy in Cataumet Cemetery.